my father died when i was 3 and my step-father left us in dramatic fashion when i was 12, so i never had much faith in the family unit. as a child i saw the Great South Bay fishery collapse from overharvesting and pollution, example of local environmental degradation that's only accelerated on the global level. it seemed like a too-sad world to bring kids into. 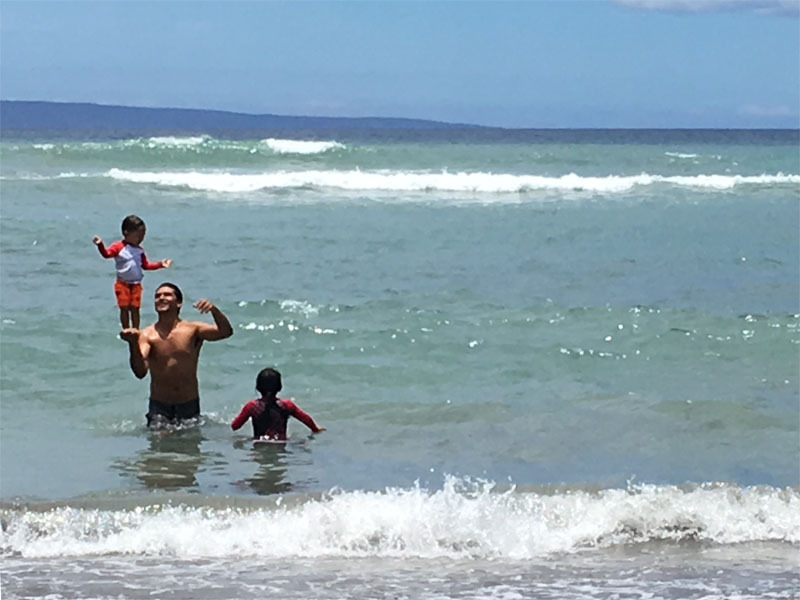 but i have to wonder if things would have been different if i'd lived out here on maui, where the feeling of ‘ohana pervades and nature, though compromised, is woven into the fabric of daily life.